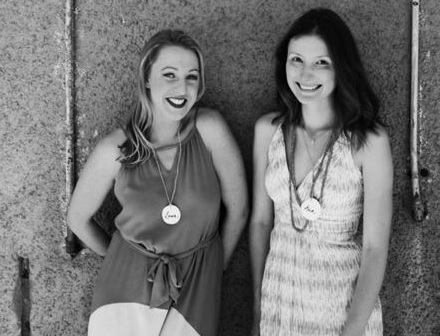 Put Your Heart Into It Workshops are a collaboration between event stylist expert, Laura Issell, and natural skin care guru, Anna D'Amelio. 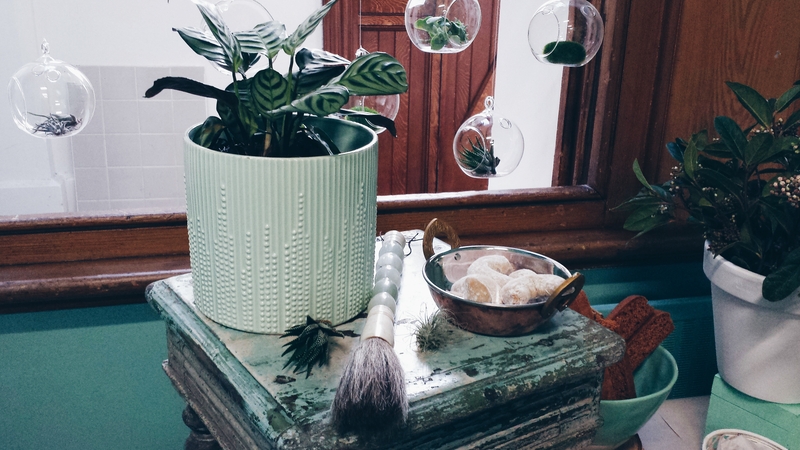 The beautifully styled and constantly evolving creative workshops create an inspirational atmosphere, assist in developing new found skills, and encourage you to create more. The workshops are value for money, comfortable, colourful, and most of all lots of fun. 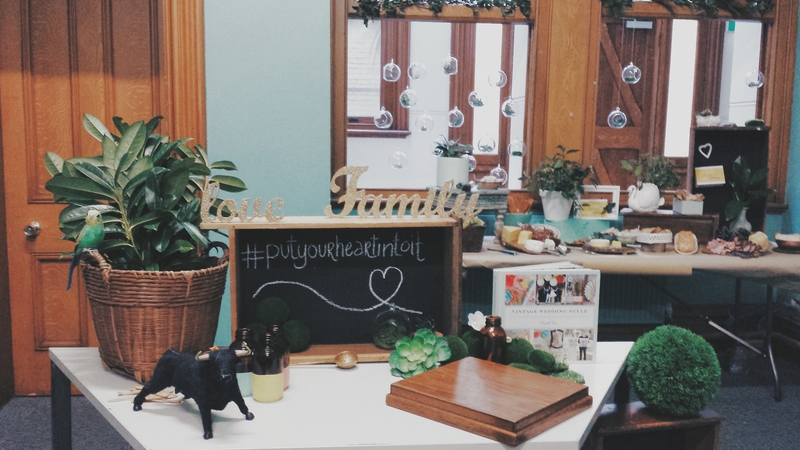 I was lucky enough to be invited along to the Put Your Heart Into It Event Styling Workshop, held at the Abbotsford Convent on a rainy Sunday afternoon. 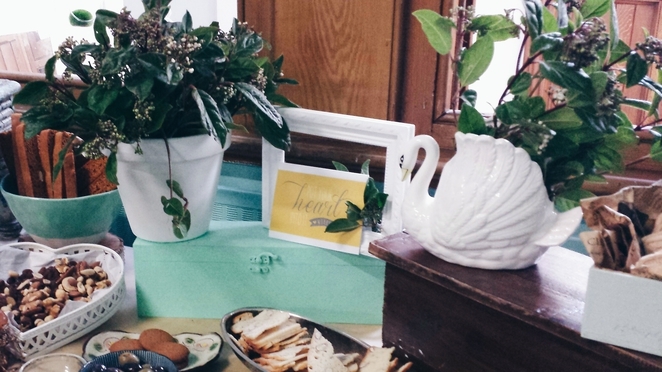 Walking into the room, I was instantly greeted by smiling faces and an abundance of beautiful greenery. The fireplace mantel in the cosy green room looked picturesque, decorated with foliage, white timber frames, a glitter-dipped feather garland, and pretty flowers. 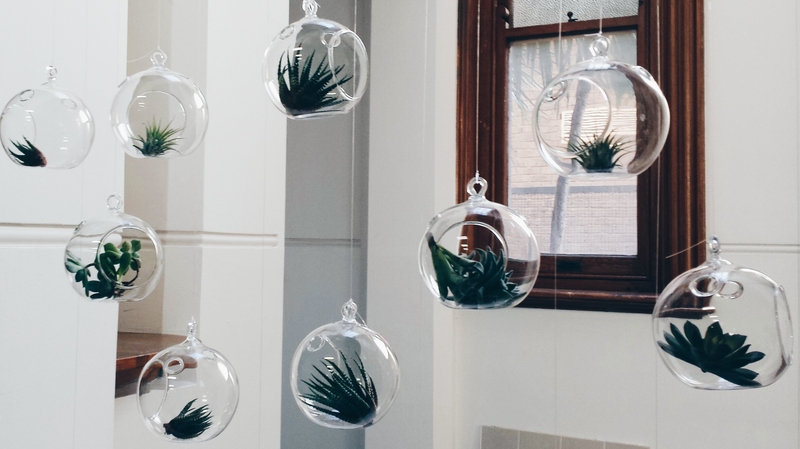 Across the room was an open window with hanging terrariums - gorgeous little succulents held in delicate glass globes. It was clear that plenty of thought and expertise was put into the decor. At the beginning of the class, we were each asked to introduce ourselves and state whether or not we had an event coming up. Our intimate group was made up of about twenty lovely ladies, and had a variety of creative sorts, such as interior designers, a photography stylist, a magazine stylist, someone planning their upcoming wedding, and others looking for inspiration for around their home and workplace. The workshop involved a mixture of hands on DIY projects, for example making clay tags, transforming old picture frames into cute chalk boards, and creating our own vignettes. Laura and Anna both provide an abundance of informative substantial knowledge, so I would strongly advise taking a little notepad to jot down your favourite ideas for any future events. 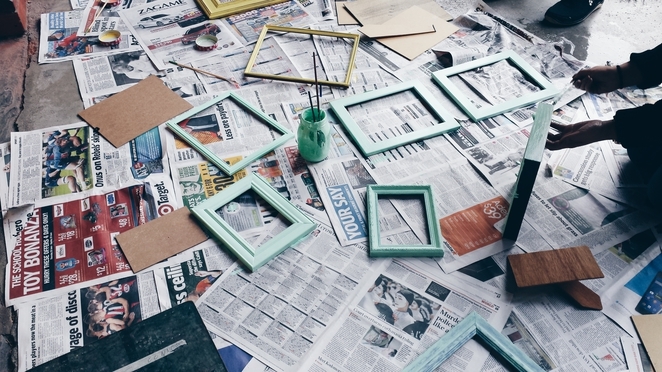 Laura, founder of Interior Hunter, an Interior and Event Styling business, has always loved DIY projects. After touring an island off South East Asia, she came across an island that was exposed to thousands of washed up lighters, thongs, bottles, plastic bags, etc. When Laura arrived home, she made a conscious decision to inspire people to live a more sustainable life. Together, Laura and Anna teach us the importance of choosing eco-friendly materials and recycling common objects found at home. Their Event Styling Workshops motivate us to re-use and up-cycle items to style our homes, spaces and events. The workshop also included tea, water (with amazing bamboo straws) and a yummy selection of cheeses and antipasto treats for afternoon tea. All the materials were supplied, and we even got to take home everything we made! 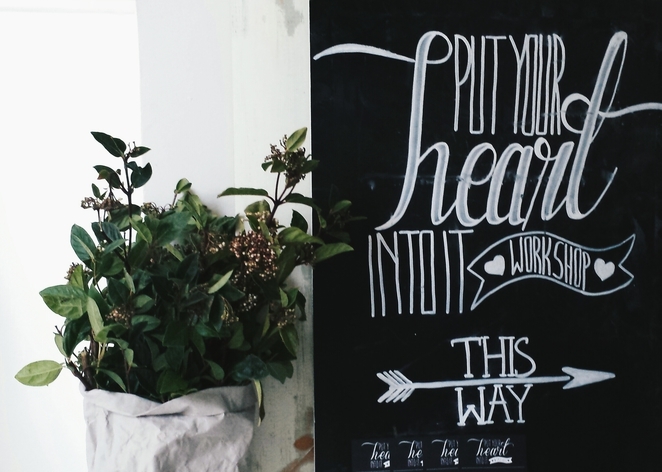 Put Your Heart Into It are also happy to take bookings for customised creative workshops available for private corporate events, team building exercises, parties, or hens nights. See the full list of upcoming workshops. Follow Put Your Heart Into it on Facebook and Instagram. Fantastic article and what a great gift idea for a loved one. Thank you. Thank you Mallory! 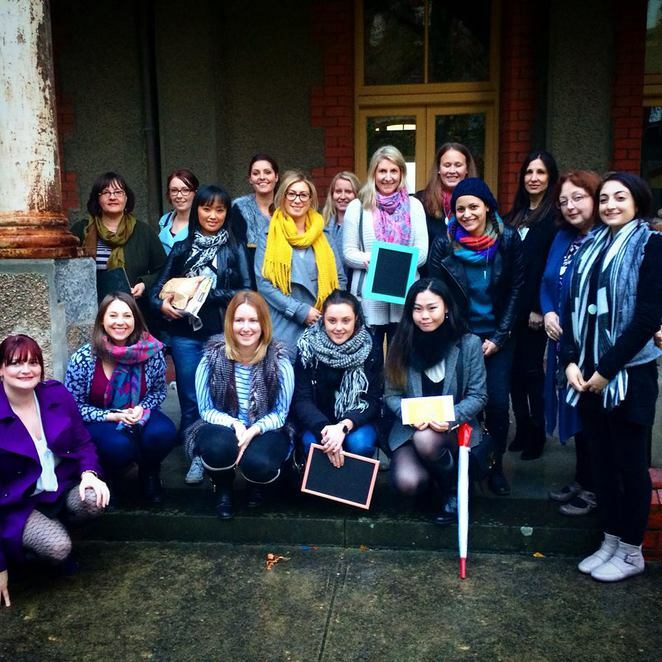 We loved having you along to our workshop. We really hope you can make it to another one soon. Thanks. Laura and Anna Put Your Heart Into It Workshops.